​The ​Philadelphia Phillies may not have a young, stud outfielder like Ronald Acuña Jr. of the Atlanta Braves or Juan Soto of the Washington Nationals, but according to one rival general manager that spoke with Jon Heyman of Fancred Sports, they may end up with one of the biggest stars in the game to supplement that problem. 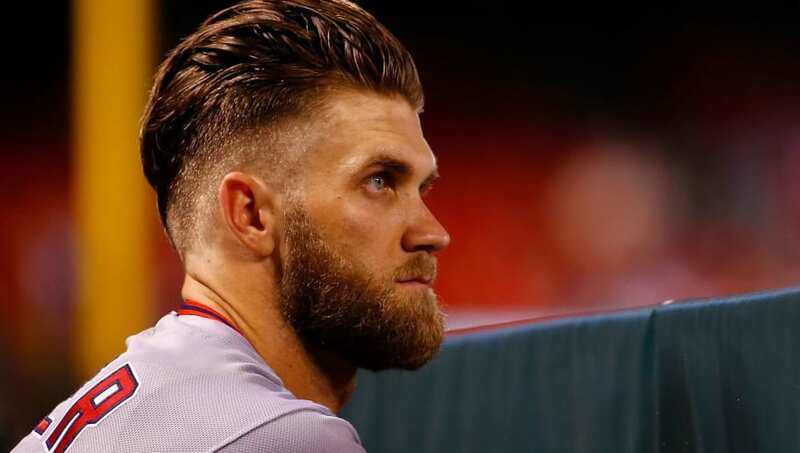 "I think [Bryce] Harper winds up with the Phillies," one rival GM said to Heyman, for his Friday notes. We sort of think so, too. Harper isn't having the type of MVP-caliber season he posted in 2015, but in 119 games in 2018, he's slashed .243/.382/.513 with 30 home runs and 77 RBI, and his second half has been beyond belief. He's only 25 years old and is entering free agency after the season, primed to get big bucks even despite his 2018 downturn. The Phillies have prepared their budget for this exact moment, ramping up their spending the past few seasons (Carlos Santana and Jake Arrieta) in preparation to go all in this offseason. After all, they've always shown in the past that they'll spend money when they are ready to contend. ​​Philadelphia is expected to be a major player in free agency, as they've been linked to shortstop Manny Machado and now former NL MVP Bryce Harper. It's unlikely they'll get both, but grabbing even one will certainly make the desired impact. The Phillies aren't the only other NL East team to be linked to Harper, as the ​Atlanta Braves have been a team brought up when Harper's impending free agency has been brought up.